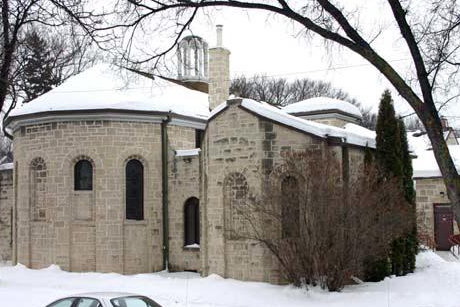 St. Michael and All Angels was founded as a mission in 1904 by the Parish of All Saints, one of the fashionable parishes in Winnipeg. In 1910, Archbishop Samuel Pritchard Matheson created St. Michael’s as a parish with a small distinct geographical boundary. Always a small parish, it was a real act of Faith, Hope and Love, when the foundation stone was laid for the present limestone building, on June 17, 1920. The architect, Henry William Greene, designed the church in the Romanesque style after a church in Italy dedicated to St. Michael. The Mission building was moved from across the street to serve as the parish hall. Please enter the church through the main doors at 655 Mulvey Avenue. Guided tours will run throughout the day, lasting 30-45 minutes.